'Tide’s Reach' is a stylish end-townhouse, sleeping up to 4 people, situated beside the harbour overlooking Garlieston Bay, near Wigtown in the peaceful Galloway Machars. 'Tide’s Reach' is a stylish modern end-townhouse, situated right on the harbourside in the small 18th century fishing village of Garlieston. 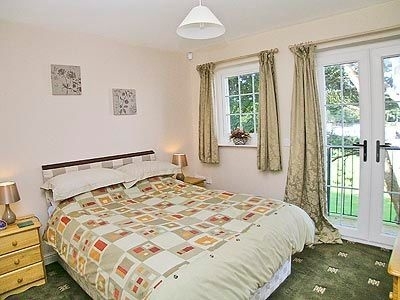 The property sleeps up to 4 people in one twin and one double (en suite) bedroom on the first floor, along with a house bathroom. The ground floor comprises a spacious and airy open plan living area with well-equipped kitchen, dining alcove and comfortable seating area. There are sea or harbour views from most windows, but espcially from the first floor balcony, which looks across the bay to the old village and the hills beyond. 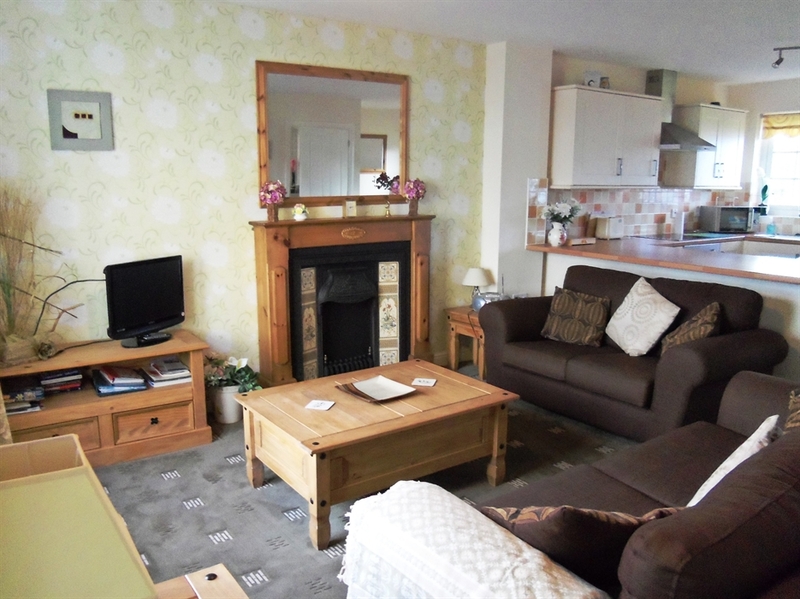 The property is furnished and decorated to 4 star standards, with electric central heating throughout. Outside is a small private seating area to the rear, with a communal courtyard to the fornt, overlooking the slipway. There is allocated parking for one car just outside the property, with further off street parking nearby. Public boat park (free) 50 yards. Garlieston village has two small general stores and a pub within easy walking distance of the property. There is a shingle beach just 100 yards from the front door, with a more sandy beach accessible from the village. Coastal walks start right from your doorstep. 'Tide’s Reach' makes an ideal get away from the bustle of modern life, making a great base to explore the peaceful country lanes and coastline of the Galloway Machars. Wigtown (National Booktown) is just 10 miles away, with Newton Stewart (Gateway to the Galloway Hills) about 18 miles. The area is rich in historical interest, with a number of prehistoric sites and medieval castles and abbeys (including whithorn's St Ninian's Priory) within easy reach. The property overlooks Wigtown Bay, much of which is a Nature Reserve famed for its overwintering geese and wildfowl.